Presentation on Z-Bot at RASC Toronto Meeting. On 3rd June 2015, HotPopRobot gave a presentation on their Z-Bot to understand more about star temperature, age and composition. We talked about how we came across the idea, how we made it, and improvements we have made over time, and how we were able to detect the presence of Hydrogen in stars from our home. 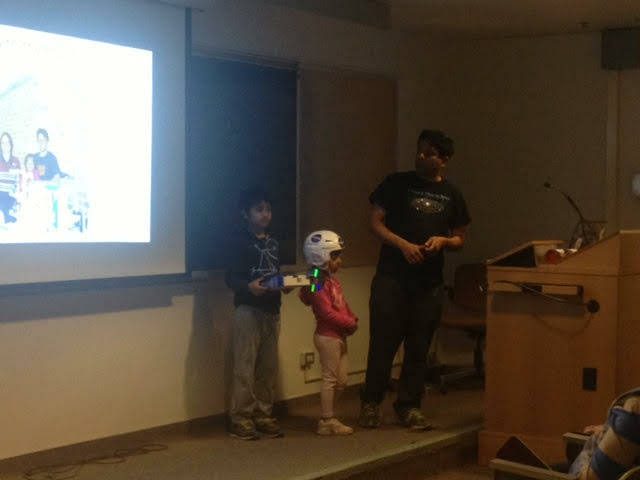 A live demonstration of Z-Bot was also given to the audience.